Serving the Toronto area with distinct floral designs and superior customer service! 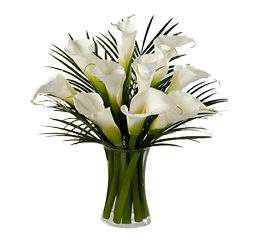 At Enchanting Flowers, we have been delighting customers in the Toronto area for over 15 years. We know that when you send flowers, for whatever the occasion maybe, you want it to communicate a special message and appeal to the recepient's senses and emotions. Our selection of unique and stunning floral bouquets and arrangements that are professionaly designed and arranged. We offer same day delivery to the Toronto area.